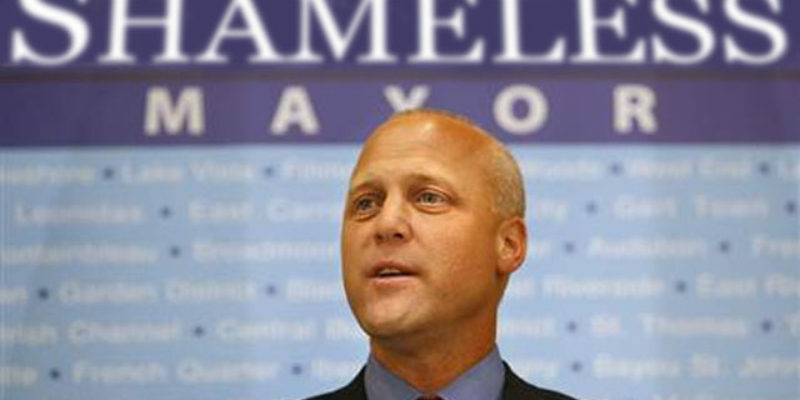 Out of all the dumb things Mitch Landrieu has said, this is probably the dumbest yet. He told reporters today when he was asked about the city’s costs to remove the monuments that the monuments forced people to move out of New Orleans. “I will say this for the people that are interested in the costs. The cultural, economic, and spiritual loss to the city for having those statues up that have run people out of the city. The great migration that sent some of our best and brightest to place across the country that we don’t have the benefit of has been incredible.” said Landrieu. Really, Mitch? Confederate statues were why New Orleans’s “best and brightest” left the city? How come those statues didn’t scare people from coming into the city after Katrina? Funny how Atlanta has turned alright, even with Stone Mountain nearby. I get that the statues are Mitch’s legacy (mostly because he hasn’t accomplished anything else), but he shouldn’t think that his critics are stupid. Only an idiot believes that 100+ year old statues made people move out of New Orleans.